Stephanie began practicing yoga in 2005, and while she didn’t realize all of the amazing benefits of a consistent practice, she immediately fell in love with the way she felt after a class. After awhile Stephanie started to see that just by spending a little bit of time on the mat, she was healing not only externally, but more importantly, internally. Stephanie began practicing Bikram Yoga in 2007 after moving to Chicago as a way to combat the cold Chicago winters in a heated yoga room, and also to continue practicing yoga in a different way. It took her some time to get used to the heat, but after she did, she was addicted. After moving to Springfield, Missouri, in early 2009 she was thrilled to find Sumits Hot Yoga. She was even more excited at the opportunity to teach Sumits Yoga to others, and completed teacher training in Phoenix, Arizona, with Sumit Banerjee in the summer of 2009. In addition to Sumits Yoga training, Stephanie has completed numerous trainings and workshops with some awesome teachers including Baron Baptiste, Seane Corn, Kathryn Budig, Dice & Briohny Iida-Klein, Bryan Kest, Alex Crow, Mackenzie Miller, Patrick Beach and Dylan Werner. Stephanie hopes her students feel the same peace and fulfillment that she does at the end of each class, and looks forward to passing her passion for yoga on to others. 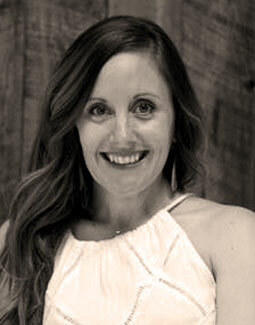 Stephanie is an ERYT500 instructor, and co-owner of Sumits Hot Yoga Springfield.